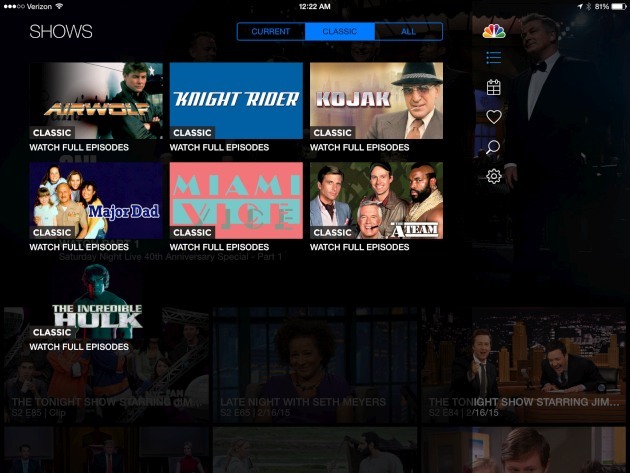 ABC was the first big network first out of the gate with a 24/7 live streaming app, but CBS and now NBC are close behind with their own versions. NBC rolled out "TV Everywhere" streaming on its website in December, and tonight it's pushed upgrades on Android and iOS that bring the network channel directly to mobile screens -- but only if you have a participating cable or satellite provider's login. Even that's not enough, unfortunately, since it's only available in areas where NBC owns the local station. Where I live the affiliate (WDIV) is owned by someone else, so the feature is not available until the two parties work out some kind of arrangement. 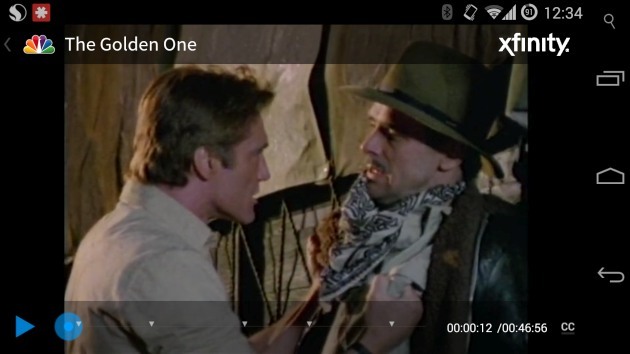 There is, however, an expanded video on-demand library including a new classic section stocked with The A-Team, Miami Vice, Knight Rider and a few others to go along with full episodes and clips of currently airing stuff (all the ones we watched had ads inserted, FYI). The apps work on tablets and phones for either platform with streaming over WiFi or mobile connections, and on iOS it has support for AirPlay (there's nothing about Chromecast, yet). We're checking with NBC about any other features, but for now you can check the App Store and Google Play to download them.